Why are we sometimes so afraid of negative feelings? I was thinking about this today when I was reading 3 Nephi 17 and the way our Savior deals with those feelings and how open He is. "And it came to pass that when they had knelt upon the ground, Jesus groaned within himself, and said: Father, I am troubledbecause of the wickedness of the people of the house of Israel. My feelings, also the negative ones are a part of me and should be treated with respect, not guiltily. I shouldn´t be ashamed of them. I shouldn´t feel that my feelings are wrong. Cause how can they be? "And it came to pass that Jesus spake unto them, and bade them arise." If we are trying to hide our real emotions by trying to act that we are feeling something else the result is simply a lie and it is impossible to express love influated by a lie. Yes; some emotions can be hurtful and if someone are eg angry at me they are not going to want to discuss it. But silence is not golden in my mind. Yes you can feel vulnerable when you are wearing your heart on your sleeve. That is a part of your feeling that I do accept. But the thing is: How do we express our (also negative) feelings? Apostle Paul is talking about speaking the truth in love. For me that is about being honest also with negative feelings but in a sensitive and loving way that will not make others feel put down. 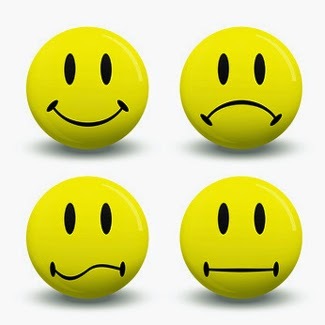 Do not force a smile to me if I did something wrong in your opinion. Give yourself permission to feel everything you feel and embrace the fact that you and your feelings are you, perfect or not. Hit me with your negative feelings in Love. Do not take your feelings as an excuse to blame or insult. I won´t criticize your feelings or try to change them. Only the person who has the feelings can change them. I will listen to you. And I will be glad if you are honest. So will I be.